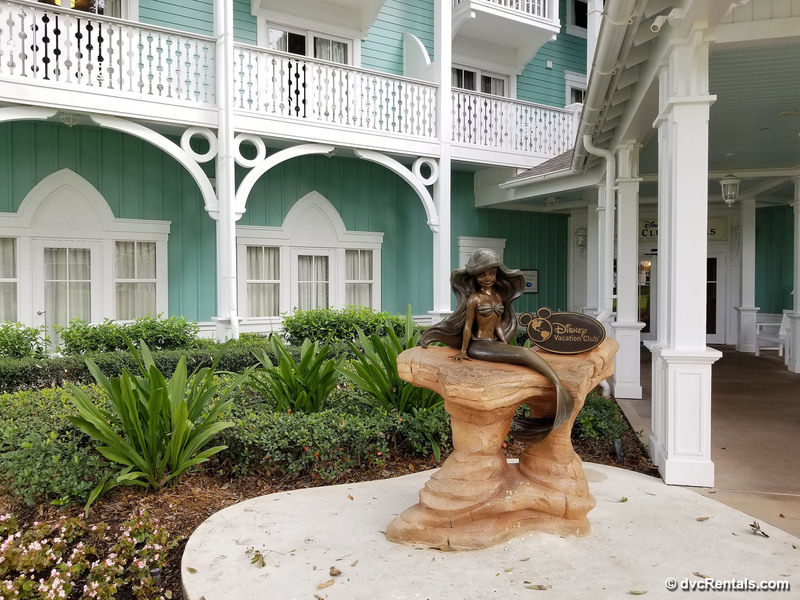 This blog is going to discuss the advantages of staying at the various Disney Vacation Club (DVC) resorts at Walt Disney World. 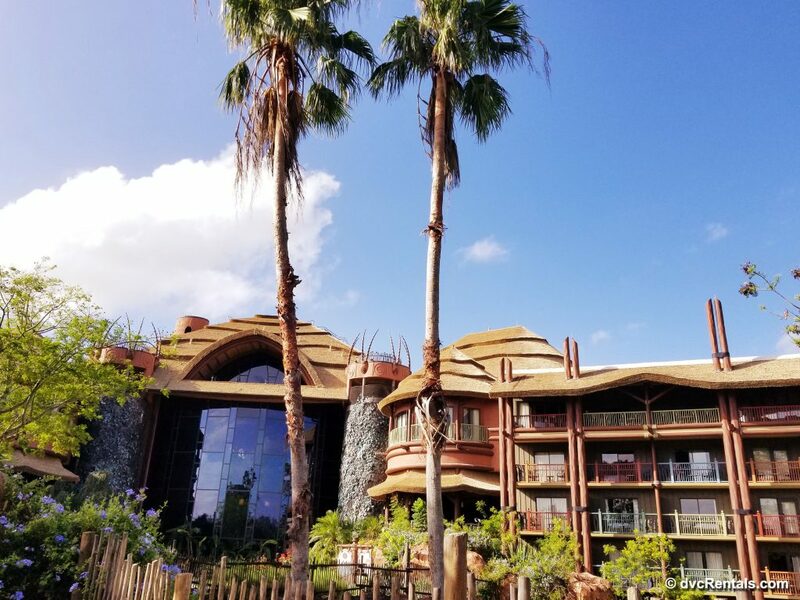 While there are DVC resorts elsewhere (Hilton Head, SC; Vero Beach, FL; Aulani, HI; Grand Californian, California), the focus will be on the options in Florida. This is not meant to be “Which Resort Should I Buy Into”, but more of a discussion on why you might want to visit one resort or another, depending on time of year you’re going; who you’re visiting with; difference in amenities/room options at the various Walt Disney World DVC properties. As there is a LOT to share, I am going to split the blog into two parts; the second half will be published shortly. Starting alphabetically, we begin with Animal Kingdom Villas. While there are two DVC areas, Kidani and Jambo House, I am not going to differentiate between the two for the most part. They are close enough together to walk from one to the other, (under ten minutes), or you can take an internal shuttle bus to go back and forth. 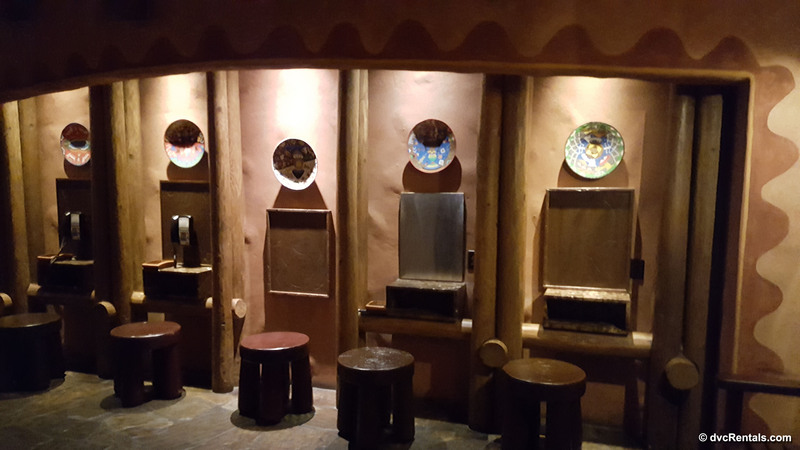 Guests staying at either Kidani or Jambo are welcome to use the amenities at both places. Animal Kingdom Lodge is the place to stay if you enjoy watching wildlife. There are a number of Savannahs to observe animals, even if you are not staying in a Savannah view room. More often than not there will be a Cast Member in the area, happy to help you with any question about the animals currently on the Savannah. At night they offer night vision goggles at no charge, so you can see the creatures moving around in the dark. Animal Kingdom has excellent restaurants, including the very popular Jiko and Sanaa. 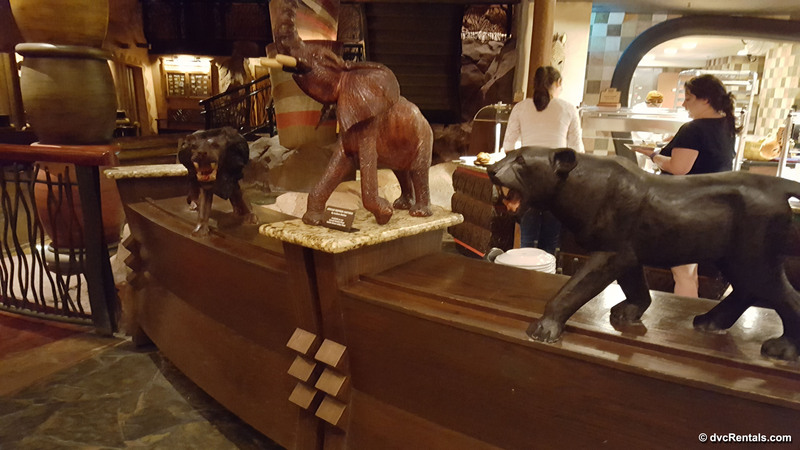 The theming is one of the best of all the DVC resorts, with African artwork and designs in abundance. If you are looking for a vacation without visiting any parks, I would choose this resort, as there is so much to see and do on property. This includes: Pools with slides and with whirlpool spas; Two arcades; a playground; fitness center which is free for guests; a full service spa (for a fee); Community Hall (place with games to play and free DVDs to borrow as well as activities [some with a fee]); Barbecue area; Merchandise shops; Basketball, Tennis and Shuffleboard. A nice bonus, and one you don’t find at other resorts, is the ability to book a “value” room here. These rooms are a little smaller than average but are less points to book. If your family is barely in your villa and basically only use it to sleep, I recommend trying for the value room. Generally, these go quickly, so if your heart is set on a value room book as far in advance as possible. Standard view is the next room category; this will give you a view of a pool, garden or parking lot. Most of the rooms are Savannah view, which (naturally) are the most points. 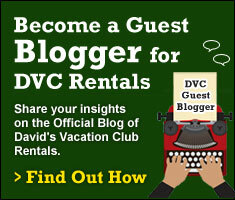 There is also one option here that you find at no other Walt Disney World DVC resorts: Club Level Rooms. These rooms are in the Jambo House section and include: Advanced Walt Disney World Resort Itinerary Planning service for assistance with dining reservations, tour reservations, childcare arrangements, recreational activities (including golf tee times), and transportation arrangements, Personalized Front Desk and Concierge service, Daily housekeeping and evening turndown services with chocolates, Secure key access to the Club Lounge, which serves refreshments from 7:00 AM to 10:00 PM daily, Weekday newspaper delivery of USA Today, Complimentary fax assistance. As with the value rooms, these rooms book up fast. 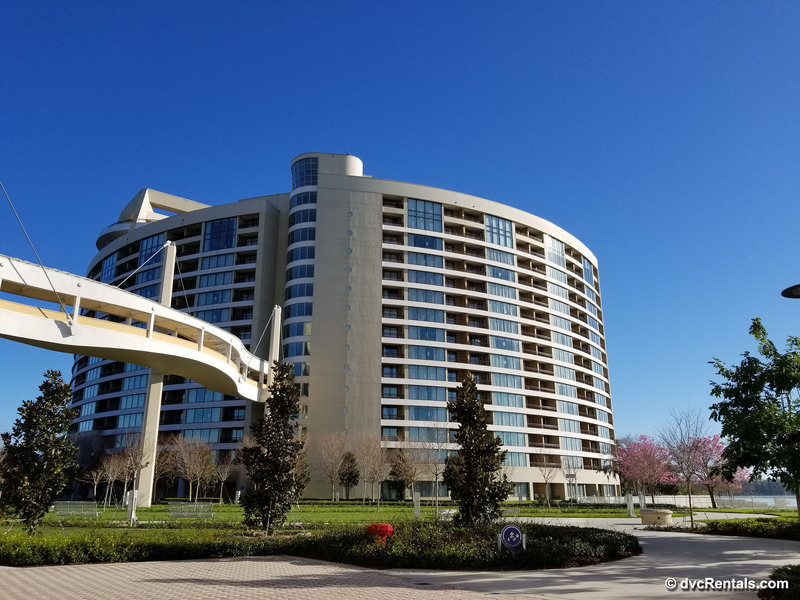 Moving on to Bay Lake Tower, the biggest advantage here is the ability to walk to the Magic Kingdom. You can take the monorail if you don’t want to walk but be aware that the Magic Kingdom will be the last stop on the monorail if you start out at Bay Lake Tower. Happily, going back it will be the first stop. The walk is about 5 minutes, and not only is it faster than the monorail, you will have your own security line on the path to the Magic Kingdom. So once you arrive you don’t have to go through the long security line at that park, you just have to use your ticket media/magic band to get in and enjoy the magic. Bay Lake Tower is home to the Top of the World Lounge, a great vantage point to observe the Magic Kingdom and to enjoy the fireworks show. 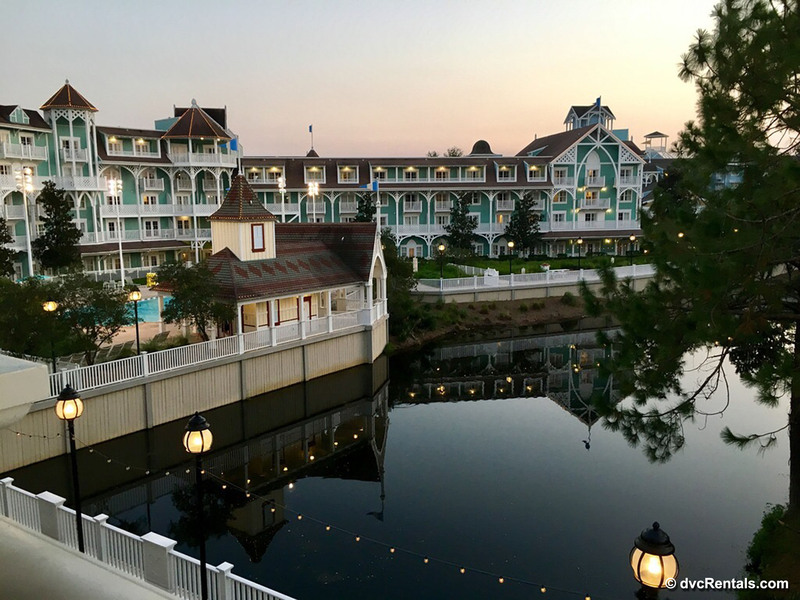 While all DVC members are able to use the lounge, staying in the resort makes it so easy to visit and take in the great view. There are snacks and beverages for sale in the lounge. You will also find a Community Hall, zero entry pool with waterslide, whirlpool, children’s pool play area and a sky bridge connecting Bay Lake Tower to the Contemporary Resort. 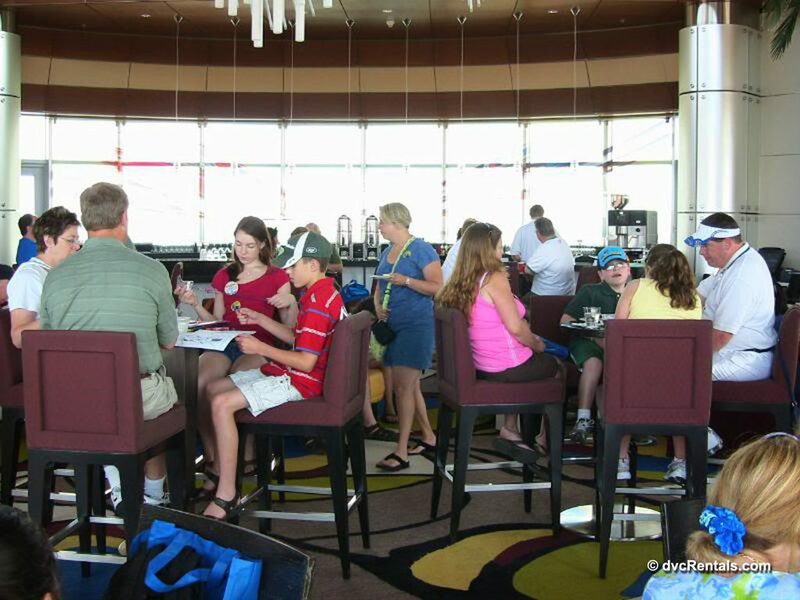 At the Contemporary, one of the first resorts to open at Walt Disney World, you can enjoy many dining options including a character meal at Chef Mickey’s, as well as a number of merchandise shops. 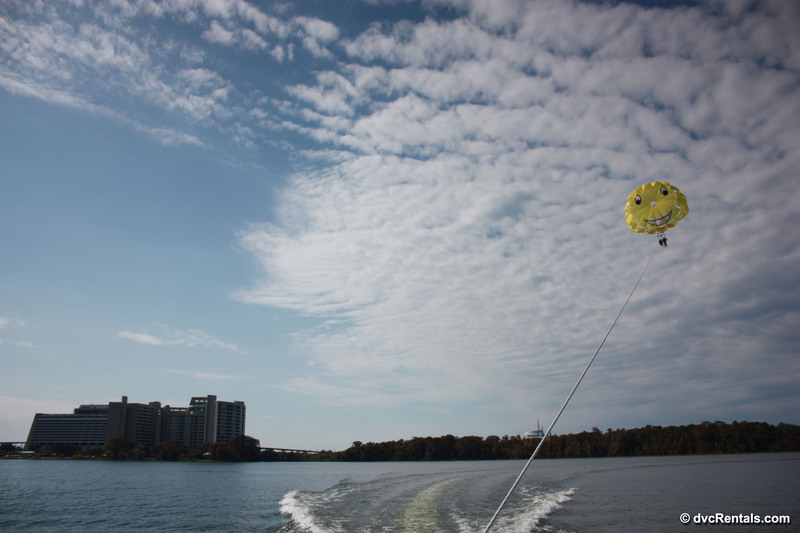 Outside the resort you’ll find a huge recreation area where you can rent watercraft, go (catch and release) fishing, parasail and more. 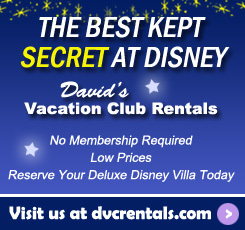 Ask about DVC or Annual Pass discounts if you opt to try any of the aforementioned things. The theming of the resort is modern, with bright colors abounding. Beach Club Villas are very popular due to the pool known as Stormalong Bay as well as the resort being a five-minute walk to Epcot. Stormalong Bay is like a small waterpark. There is sand on the bottom of the pool, a lazy river area to float around, a huge waterslide modeled on an old shipwreck, areas with jets that shoot water out, a play area and smaller pool slide for young ones, and more. The pool is so popular that you’ll be issued a wrist band in order to access the pool when you are staying at the resort. There are also quiet pools at Beach Club, for those who prefer a more low-key atmosphere. In addition to walking to Epcot it’s about a 20 minute walk to Disney’s Hollywood Studios, or you can catch a “Friendship” Boat in front of the resort and float over to The Studios or Epcot. (Walking is much faster if you’re headed to Epcot). Beach Club truly has a beachy feel to it, right down to the beautiful white sand outside next to the lake. Most nights movies are shown in this area, ask at the front desk when you check in to find out what’s playing and when during your visit. Because Beach Club is so close to Epcot, it’s tough to book during the Food & Wine Festival in the Fall, as well as the Flower and Garden show in the Spring. So if your heart is set on staying there during either of these events, book early! 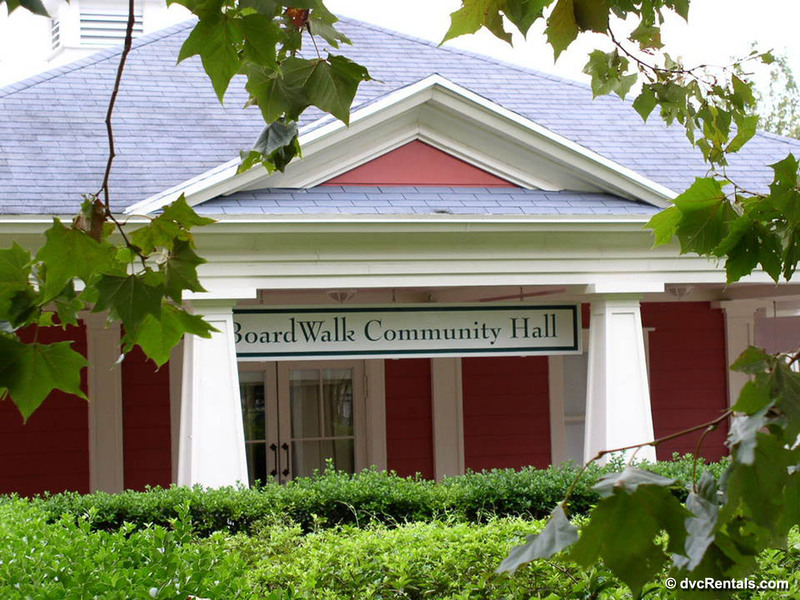 Other amenities here include: a number of dining options, (including a character Breakfast at the Cape May Café), a small merchandise shop, boat rentals on the waterway dubbed “Crescent Lake”, a health club and more. If you are a fan of Ice Cream you won’t want to miss Beaches and Cream, a popular Ice Cream Parlor located near the main pool. Next door at the Yacht Club Resort is Yachtsman Steakhouse, well known to guests for its delicious steaks. 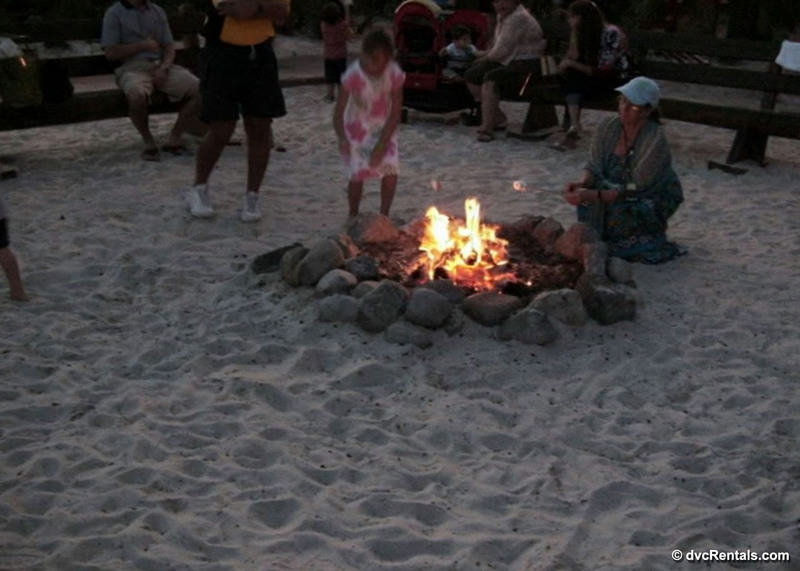 Lastly, you are within walking distance to a number of other resorts, all which surround Crescent Lake. 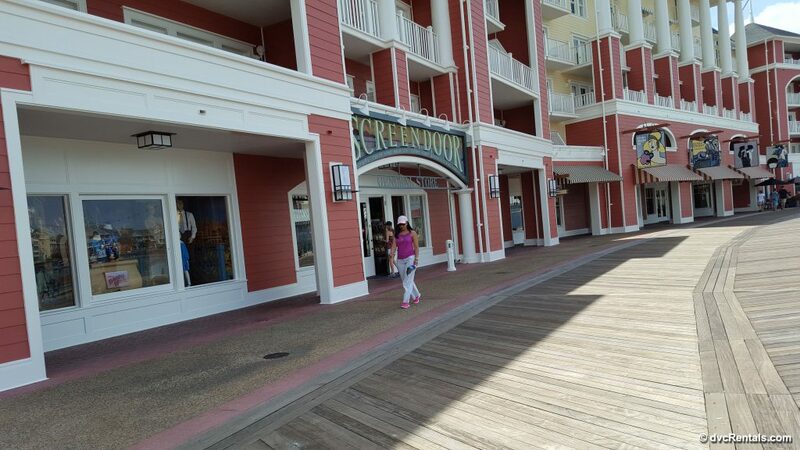 You can enjoy checking out Boardwalk, Swan, Dolphin and the Yacht Club lobbies, restaurants, decorations and shops. You are five-ten minutes by foot from any of these spots, and I especially recommend taking a walk to Boardwalk, at night if possible (you can also take the Friendship Boat from resort to resort). 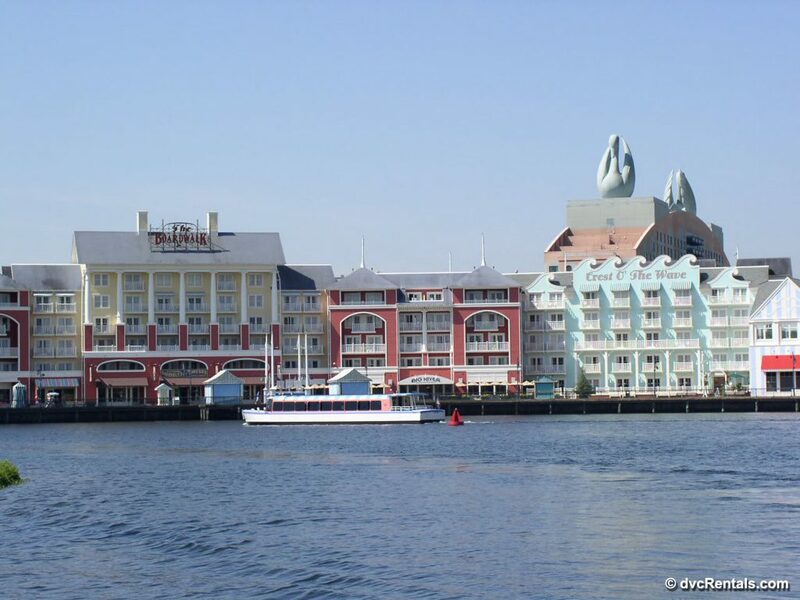 The boardwalk itself has a number of snack choices; a bakery; ice cream (tables outside only); piano bar; dance hall; full service restaurants (including a character breakfast with Rapunzel, Flynn Ryder, Ariel and Eric, and the very delicious Flying Fish), as well as photo booths, hair wrapping, caricatures, and, at night, free entertainment. The Big River Grille and Brewery offers a nice selection of handcrafted lagers and ales brewed on the premises, as well as tasty dishes. I have already mentioned in the last paragraph that Boardwalk Villas has a lot to keep you busy, just step out onto the Boardwalk and enjoy all I wrote about above. 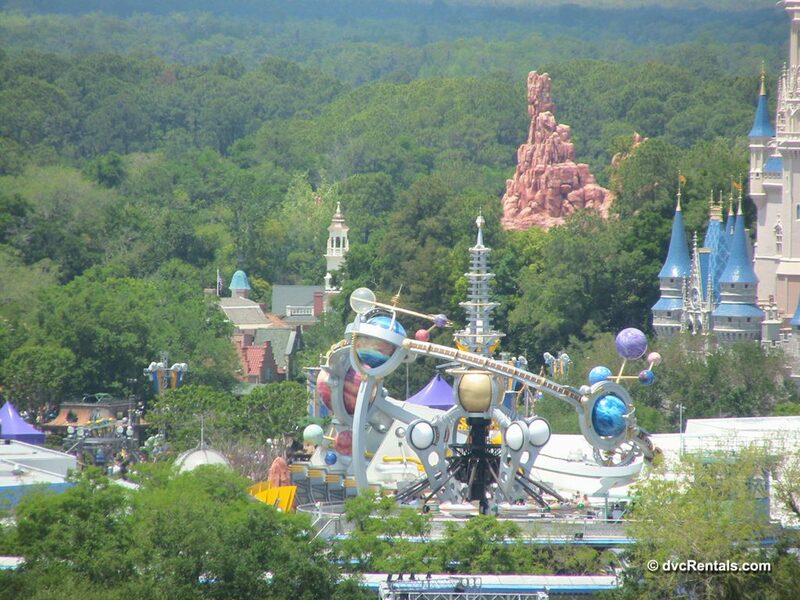 In addition, you are a ten-minute walk from Epcot and a 15 minute walk from Hollywood Studios. As at Beach Club, you also have the option of taking the Friendship Boat if you don’t care to walk to either of the parks. And of course, you have access to check out the same resorts that Beach Club does, as they are all located in the area surrounding Crescent Lake. 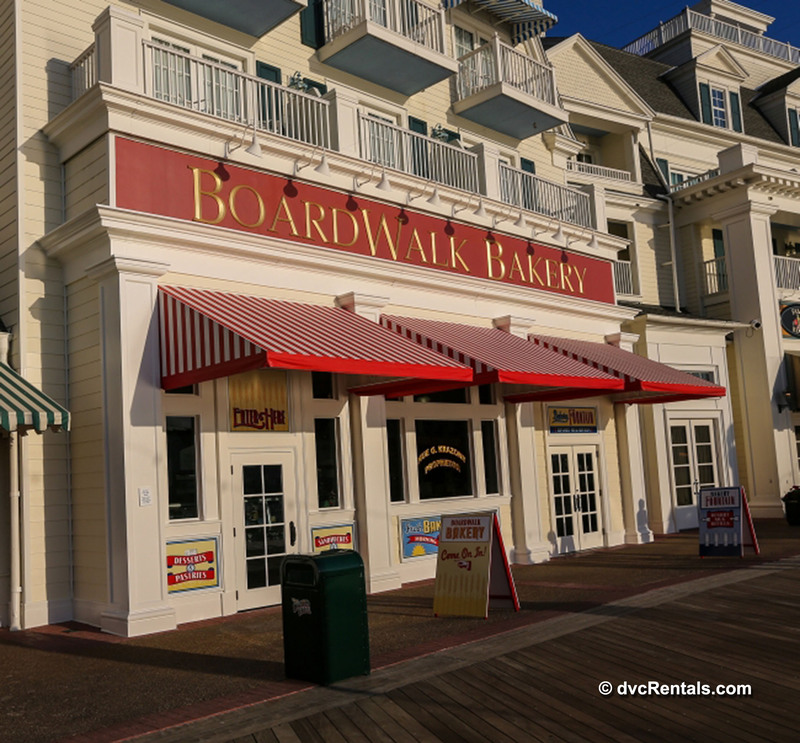 Boardwalk and Beach Club are similarly themed, but I would say that Beach Club is more laid back and Boardwalk Resort is for those who really a more active atmosphere. One other significant difference is that Boardwalk has two room categories: Standard and Preferred View (views of the pool, water, garden or Boardwalk area), with standard being less points. Again, these will go fast, so book asap if you want a Standard room, which will overlook the front entrance to the resort or a parking lot (the lot is a distance from the resort and mostly hidden by trees). Themed on turn of the century Atlantic City/Coney Island, Boardwalk has a pool with a slide as well as two quiet pools, all with whirlpool spas. There is a kiddie area at the main pool for kids to splash around and play. There is a community hall; Lounge with adult beverages; barbecue area; standard and surrey bike rentals; an arcade; Health Club (use of equipment free to guests, a fee for other services such as a massage); Tennis courts, and a jogging trail. There is no way you will be bored here, there is so much to do! I hope you’re looking forward to part two of this blog. 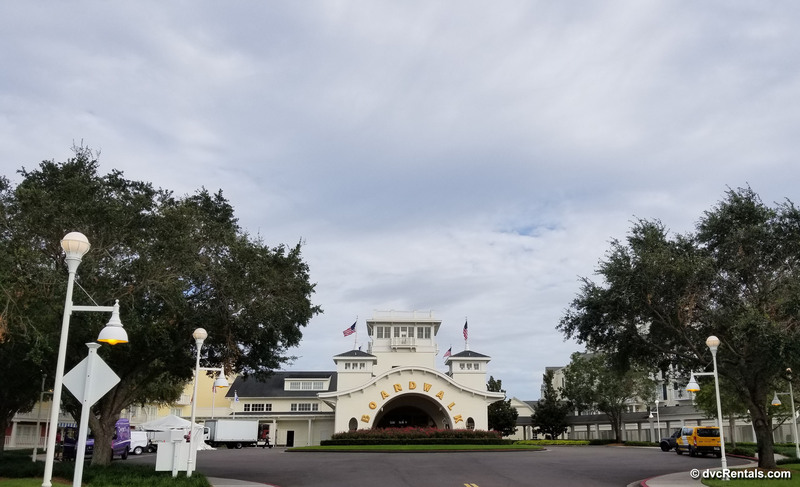 I’ll discuss all the fun things at the DVC resorts at the Grand Floridian, Old Key West, Polynesian, Saratoga Springs and Wilderness Lodge Resorts. “See” you real soon!